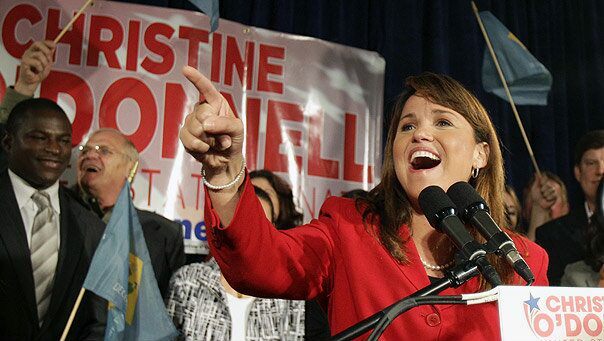 Why are people still talking about Christine O’Donnell during elections returns? This woman is a non-story. Please stop encouraging these people. This is the single most important thing that you can do as a citizen. So go out and vote if you hadn’t already. Speaking of this election, it has been very upsetting. There’s been a lot of misspeak on both sides. It doesn’t matter much to me to which party you belong, or if you even belong to a party, but whatever happened to debate based on facts and addressing actual policy. House of Representatives and the Senate, the start of the 110th Congress. since the end of the 103rd Congress in 1995. Services Committee and Chris Dodd took over the Senate Banking Committee. 2001 because it was financially risky for the US economy). steering wheel they were driving. Here is what bothers me about this. Well, lots of things about this bother me. But let’s just talk about one (although, as an aside, I love the statement basically implying that you can cause a financial crisis that almost topples the largest economy in the history of the world in the span of less than two years. Oh, and BTW the Dow didn’t close at 13,000 until late April of 2007). I find this statement (“George Bush’s Economic policies SET A RECORD of 52 STRAIGHT MONTHS of JOB CREATION!”) to be dubious at best. Data from the BLS based on the 1-month net change in the civilian labor force does not validate this statement. Either way a statistic such as this is of extremely questionable value. This data is based on a differential variable which first of all needs to be above approximately 100,000 just to take population growth into account or you’re participation level in the workforce is actually going down. Secondly, the data that you actually care about is the integral of the differential change (cumulative number of jobs created). In which case it’s far behind what has happening in the 1990’s. And the fact that inflation-adjusted median US earning was essentially flat, I would hardly regard the Bush economic policy as success. It points to the fact that the US is having a difficult time transitioning out of an industrial and into a knowledge economy. I don’t even understand the above argument. On the one hand they argue that the recession is due to the Democrats in congress and not the president, and then on the other they state that the president’s policies are a success. So is it because of the president or congress? You can’t have it both ways. Regardless, the reason that things are bad is because of the complete cratering of the american middle class over the last 30 years. If it was simply due to the financial crisis, things would be great right now as companies are sitting on piles of cash. No one is hiring because there is no demand. There is no demand because no one has spare money. Wages have been flat and debt has gone up. America as a whole has been over-spending, under-investing, and racking up debt. And now we are living with the hangover. And that’s due to Democrats and Republicans.